The Department of Architecture welcomed Dr. Andrea Wheeler as a new Assistant Professor in Fall 2013, where is a studio instructor, gives the Fall seminar ARCH 558 Green and Sustainable Architecture and contributes to the teaching of the Masters in Design of Sustainable Environments with the Fall colloquium class (SUS E 511) and Spring methods class (SUS E 540). She graduated in Architecture from Oxford Brookes University, gained an MPhil from the School of Mechanical Engineering Oxford Brookes University and was awarded a PhD from the University of Nottingham School of Architecture in 2005. Her thesis examined the question of dwelling through the radical philosophy of Luce Irigaray. Dr. Wheeler comes to Iowa State after spending the latter six years working on architecture related research projects at the Loughborough University and The University of Nottingham in the United Kingdom, and within commerical practice. In 2007 she was awarded a prestigious three year ESRC/EPSRC fellowship award to examine sustainable schools and subsequently worked as a research fellow for a central UK government research unit Defra's Sustainable Behaviors Unit in Westminister, London. Dr. Wheeler’s past projects have focused on the design of educational buildings. She’s interested in both the sustainable architecture of schools, and assessing how different pedagogies and practices embodies in design affect students’ performance. Figuring out this assessment is a complex task. She has submitted research grants with CBER and to ASHRAE to explore the relationship between environmental quality in classrooms, educational performance and student wellbeing. 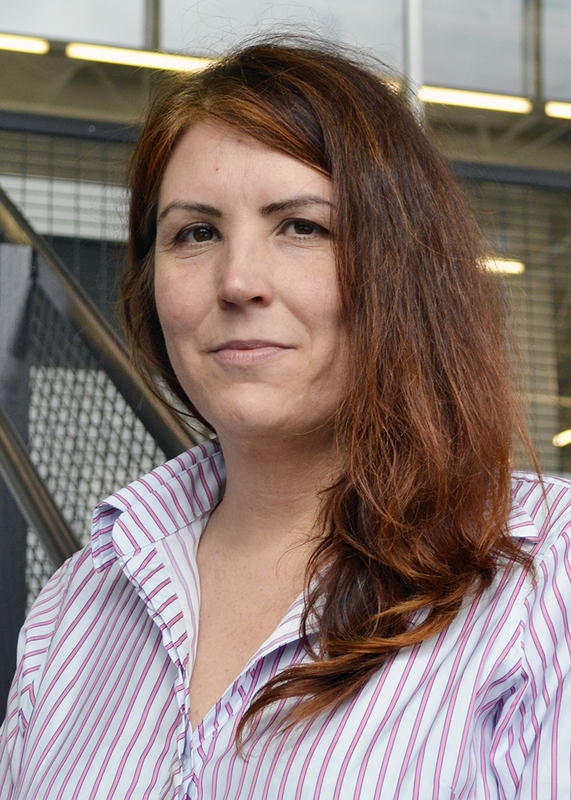 She has been awarded seed research grants from the Iowa Energy Centre and from the Iowa NSF/ESPSCoR Energy Utlization Platform and from the Provost's Office as additional start-up funds. Her current project returns to the question of dwelling and engages with notions of ecological aesthetics and is working closely with the recent environmental philosophy of the French thinker Luce Irigaray who calls for the birth of new notions of what it means to be human. Andrea has organized a number of conferences, including School Design Futures at St. Hugh’s College, The University of Oxford, bringing together an internationally diverse group of school designers, environmental educators, Head Teachers and academics. She has published both empirical and theoretical work in architecture. This application was made to the International Grants Program for the development of an innovative new study abroad course, which will visit London to explore the art and architecture, of the city, from the late 1980s onwards. This was a period when London was at the center of renewed artistic activity, London was economical vibrant and “swinging” again. An art movement described as Young British Art or Brit Art was emerging. Architects were also beginning to propose environmental stewardship as a motivation for design: reducing energy consumption, protecting material resources and enhancing the quality of human life. The proposed grant will allow the Principal Investigator Dr. Andrea Wheeler, a British citizen, to develop the educational program based around walking tours and gallery visits, experiencing the districts, neighborhoods and architecture of London. These tours will allow students to experience the many layers of social and architectural history in the city. Funds of $20,000 were sucessfully requested from the Iowa NSF EPSCoR Energy Utilization Platform Budget to support Dr. Andrea Wheeler in the second year of her position as tenure-track assistant professor of architecture in the Department of Architecture, Iowa State University (ISU). These funds are a follow on to those received in 2013 – 2014 and where Dr. Wheeler has exceeded expectations in terms of publications, establishing a network of research relationships, both in Iowa and internationally, and has been awarded the Sir Ted Happold Senior Research Fellowship to spend eight weeks at the University of Bath, UK. The proposed funds will continue research into the design of high efficiency and low carbon schools in Iowa. The fellowship in Bath working with Professor David Coley has expanded Dr. Wheeler’s knowledge in the field of sustainable architectural design with an exploration of the Passivhaus approach school design. This is field of study that Dr. Wheeler would like to further develop and critically evaluate. Funds are sought to buy-out Dr Wheeler from teaching one class in the Spring semester to prepare a book proposal in the field of sustainable design and to write collaborative NSF/ UK EPSCR grant applications. In addition, funds are requested for Dr Wheeler and her Research Assistant to contribute to one international conference in the field to disseminate existing research results, and for some initial study visits in anticipation of the large research grant applications in 2015.
to identify case study schools, carry out necessary preliminary literature reviews, build an interdisciplinary academic and industry-based research team and to work with specialist consultants appointed by Iowa State University with expertise in winning research bids. The opportunity is timely and the Co-PIs’ combined skills offer the potential to establish a collaboration with the knowledge and experience to complete the research program as defined in ASHRAE 1624-TRP. schoolwork. This theme has a strong relationship to Iowa Energy Center’s mission to advance the environmental, social, and economic well-being of Iowans, with its focus on the energy efficiency of Iowan schools and the health and wellbeing of children. The funded research program will award approximately $195,000 to the successful research team and has a deadline for completed responses of the 17th December 2013. Hence, the schedule is tight as schools have to be identified as well as the team recruited by the 17th December. The proposal will identify affordable, efficient and effective solutions for achieving good classroom ventilation. What will be unique about the study is the integration of methods of assessing the wellbeing of children in measuring good classroom ventilation. calls and emails to gain the support of the Schools’ leadership teams, but the majority of the work to prepare the bid submission will be carried out by the Co-PIs. The Co-PIs will ensure that state of the art technical reports and other publications are available in writing the research proposal, and the research assistant will also help with this task. the primary aim of the planning grant and some industry partners involved will require expenses to be covered to contribute to this process. $12,000 has been received from the Iowa NSF EPSCoR Energy Utilization Platform, as start-up for new faculty (awarded in October 2013). $3000 was awarded from Iowa Energy Centre, as Development Grant to building a team to apply for the ASHRAE grant RTP 1624 ($220,000 pending a decision from the awards committee). I also have $5000 start-up funds from the Department of Architecture and ¼ of a Research Assistant who will support data collection in this field over 2 years and $3600 for conference attendance to disseminate research findings per annum. Moreover, my start-up package included $6, 000 moving expenses and $3,000 for a computer and software. Additional start-up funds will allow for three more years of RA support. Thus, I am seeking additional research support from the Provost over 3 years in order to fully develop my research potential. Whilst based in the UK, I have held prestigious research awards to explore the interdisciplinary and social dimensions of sustainable architecture. I have worked as a research fellow for policy makers in Department of the Environment, Food and Rural Affairs (DEFRA), London, within the specialist “Sustainable Behaviors Unit” and for engineer-researchers involved in the performance testing and post-occupancy evaluation of sustainable buildings at Loughborough University. I have worked collaboratively with social scientists, educationalists, designers and engineers. I thus have a high potential to achieve further success within Iowa State University in securing external research funds. My intention is to submit a series of small research grant applications. A Research Assistant over 3 years will assist with these activities as well as support my research. The UK has seen a recent growth in the number of schools being built to Passivhaus standards. My research during the summer fellowship will examine both the feasibility of Passivhaus methods for extreme weather conditions, including those experienced in Iowa, and critically examine how to evaluate the performance of a sustainable school. Sustainable schools operate at a number of levels which can include energy performance, behaviours, ecology, education, community engagement, health and wellbeing. Passivhaus excels as a method to address energy efficiency and human comfort but how does it perform in other aspects of school design? How do Passivhaus schools address social sustainability or questions of community building, or indeed health and wellbeing in matters of air quality? How is the Passivhaus approach being marketed to the educational facilities community and parents whose children’s schools are being rebuilt? What about questions of education: the relationship between school design and innovative pedagogy? My fellowship research will thus examine both the technical and wider performance qualities of the Passivhaus approach. I am keen to work within the research context of Bath University and its technical experts in the Department of Architecture, including Professor David Coley. I am also keen to return to the UK over the summer to develop a research relationship with Mark Lumley of Architype, a practice which is leading the new growth in Passivhaus schools. I would like to re-establish a relationship also with Linda Farrow of White Design, a practice that has designed some of the most inspirational schools in the UK. I would also like to develop collaborative research programs which may include the Passive House Institute in the US. The method adopted during the fellowship will be that of a desk-based study but will include visits to Passivhaus and contemporary UK sustainable schools to build case study materials. The fellowship research will also contribute to my book New Schools (currently at proposal stage and being reviewed by publishers), to preparing a collaborative journal article with Bath academics, and it is my intention that the fellowship period will act as the foundation to developing grant proposals between US and UK Universities, including Bath. The proposed fellowship will cover a six week period. awarding body. In May 2014 researchers also considered submitting a response to ASHRAE 1627-TRP, “An Evaluation of the Actual Energy Performance of Small Office and K-12 School Buildings Designed in Accordance with the 30% ASHRAE Advanced Energy Design Guides” (the original call is attached as appendices together with the full application to the call in draft form). From past experience, match funding would allow our team to gain an advantage against other projects. The Iowa Energy Centre (IEC) has already supported the preparation of an ASHRAE grant application and match funding for this project will allow the team of researchers and businesses that has been built as a result of a previous grant to participate in research in a similar theme with the objective that the team shares its own expertise of Iowan schools. The project will also utilize the online database benchmarking data that IEC is collecting. Iowa’s New School Buildings: A Future Invested in Sustainability. To identify key concerns and strategies within the US context for the design of contemporary sustainable schools, including a comparison with innovative schools from the international context. To work collaboratively with educationalists /educational philosophers and environmental education curriculum developers to provide a series of best practice guidelines. A series of case studies which present a comprehensive study of the design of new school buildings in Iowa (over the past 3 years) and their approaches to energy efficient design and sustainable school communities. The development of a program and methodology for a post-occupancy assessment of Iowa schools addressing both energy performance and occupant behavior. A series of research papers in peer reviewed journals which investigate Iowa schools and their design within an international context, presenting key concerns and appropriate design strategies, including an analysis with schools worldwide and presenting a series of design guidelines. A report which presents case studies of new Iowa schools – published online and via ISU or another appropriate press. A series of research papers examining the development of post-occupancy evaluation over the past 20 years with regards to school buildings and a proposal for a program post occupancy evaluation of Iowa’s recent school buildings with funding sought from Federal funds via the State to carry out this work.